Hi Christine, first of all, I am a big fan of your blog. I find the recipes are easy and tasty and your photography are excellent. One little comment on the Zha Jiang noodles. 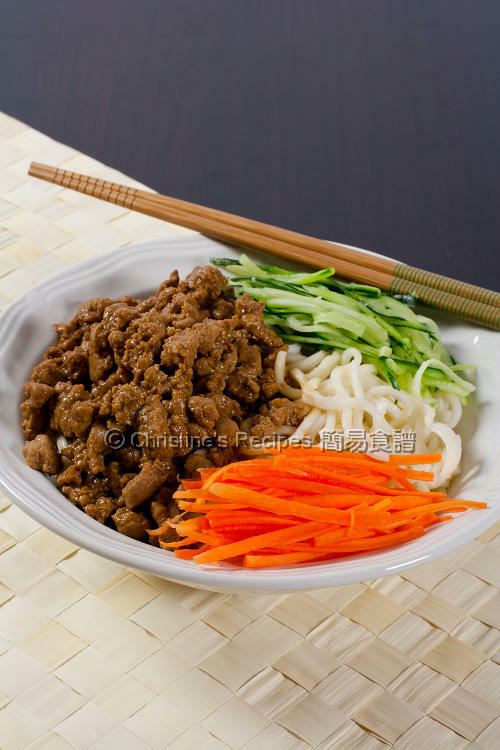 You mention it is Shanghai style but my grandma make it the identical way like your recipe. Her family was from Beijing. My maternal grandma was from southern part of China. She added chopped 豆腐乾, bamboo shoots and adamame in it. It was more the southern style. Just for your information. Thank you for sharing your wonderful recipes and cooking tips. Keep on the good works. Thanks for your info. It's a new creation from Ellie, that she experienced the similar dish at a Shanghai restaurant. I think people love cooking in their own way and create something different to suit their own tastes. 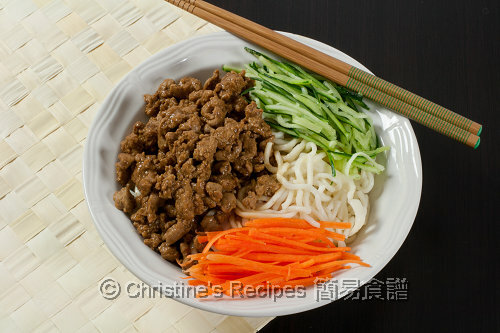 I still want to call this dish/recipe as "Shanghai style", as authentic Shanghai noodles was used. 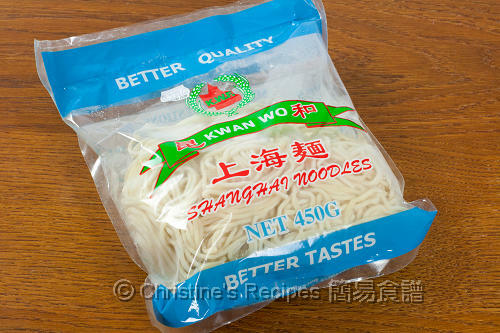 In Hong Kong (Southern part of China of course), the noodles restaurants use yellow egg noodles, not these white thick noodles as picture shown on this post. 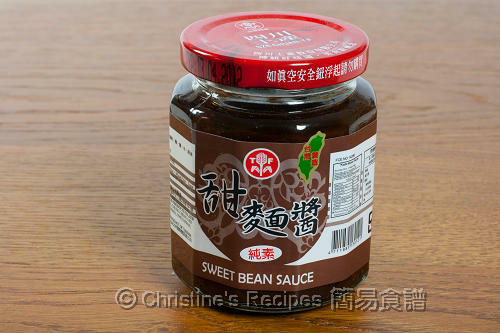 FYI, click the link in this post to wikipedia, you'll find one of the classic versions is very like the dish I cooked here, including the main ingredients, pork mince and sweet bean sauce. Love you sharing your family's cooking method. I have only made the Korean version before. I love jajang that I even use the meat sauce to go with rice and Korean rice cakes!!! Did you make the grounded pork yourself? It does not look like the ones I see in the supermarket. If you did, what kind of pork did you use? I bought the ground pork from an Asian butcher nearby.